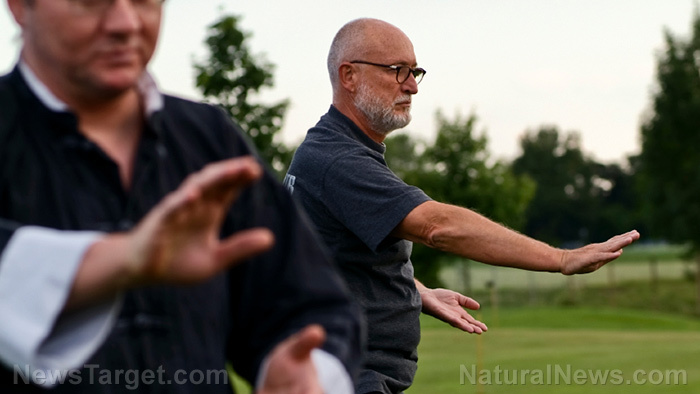 (Natural News) In recent years, tai chi has made it to many lists of the most popular meditation techniques, and for good reason. No matter how old or active you are, this ancient Chinese practice offers many health benefits, including disease prevention and pain relief. Data from 2016 reveal that more than three million people practice tai chi in the U.S. alone, putting it among the most commonly exercised meditation techniques along with yoga. Its apparent popularity, however, has not rendered it immune to misconceptions. The most popular of these is the idea that it is only for older people. Research does show that tai chi has myriads of benefits for seniors. In 2017, a review of 10 studies published in the Journal of American Geriatrics Society indicated that tai chi can help older adults avoid physical injuries, reducing their rate of falls by up to 50 percent. Harvard Health calls tai chi “medication in motion,” noting how unlike other types of exercise, it offers big gains despite entailing no pain. Its emphasis on deep breathing, a slow and graceful routine, and meditation not only trains your lungs and improves your flexibility, it can also increase both your lower-body and upper-body strength. That said, tai chi’s benefits extend to younger people as well, especially those who find static exercises boring. Research on its effects on the youth is on the limited side, but small studies indicate that it could help in managing attention deficit hyperactivity disorder (ADHD) and curbing violent behavior in juveniles. Anecdotal evidence also suggest that as a low-impact exercise, tai chi may aid in recovery from common sports injuries, such as knee sprains and cases of a shoulder separation. In fact, a growing number of practitioners are athletes who use the art as a form of cross-training. A 2018 study reinforced tai chi’s role in providing relief from pain. The research found that tai chi is as effective – if not more – as aerobic exercises in easing pain that characterizes fibromyalgia. It can also help with other types and causes of discomfort, ranging from simple neck and back pain to more complex conditions like arthritis and the symptoms of Parkinson’s disease. As both an exercise and meditation technique, tai chi benefits both your body and mind. It can help you overcome mild to moderate depression, says one randomized trial. The participants, Chinese-American adults, were divided into three groups. One went through a 12-week tai chi session, another joined an education program, and the other received no intervention. The tai chi group exhibited better improvements in symptoms compared to the other groups. Because of these benefits, tai chi is now one of the integrative therapies employed by several Veterans Health Administration facilities. Most of the vets in these programs suffer from conditions like depression and PTSD. Despite how it looks, tai chi is a form of Chinese martial art in the same vein as kung fu. While the latter places more emphasis on strength, tai chi concentrates on helping you achieve balance and good health. Its nature as a martial art offers more reasons for you to get started on tai chi. Like kung fu, it was originally developed for self-defense. Although current practice is more focused on its health benefits, the art has not lost its potential as a defensive tool. Moreover, its nature as a martial art means it can also teach valuable lessons, such as discipline and restraint. This is one of the many reasons why many schools now offer tai chi instruction to their students. Learn about other effective ways to heal your body naturally at HealingArts.news.